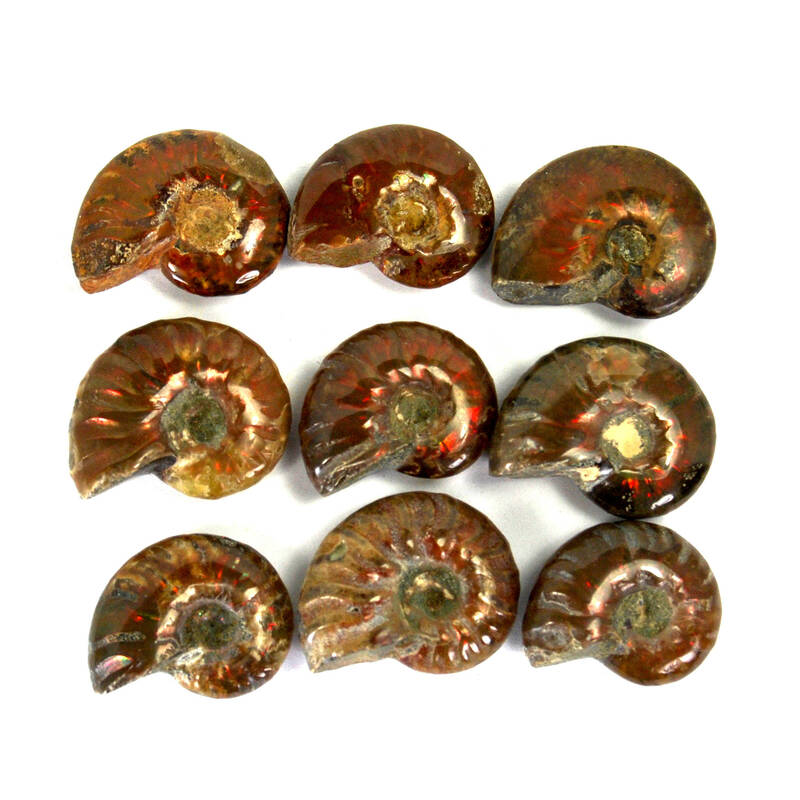 For your consideration are these GORGEOUS opalized Ammonite fossils from the Mahajanga Province in Madagascar, sold by the piece. They feature every color of the rainbow. The opalized shell is frequently used by lapidarists to make stones for jewelry. Once it is in cut form, it is known as Ammolite. These are 110 million years old dating to the Middle Cretaceous period. These measure approximately 25mm to 30mm long. 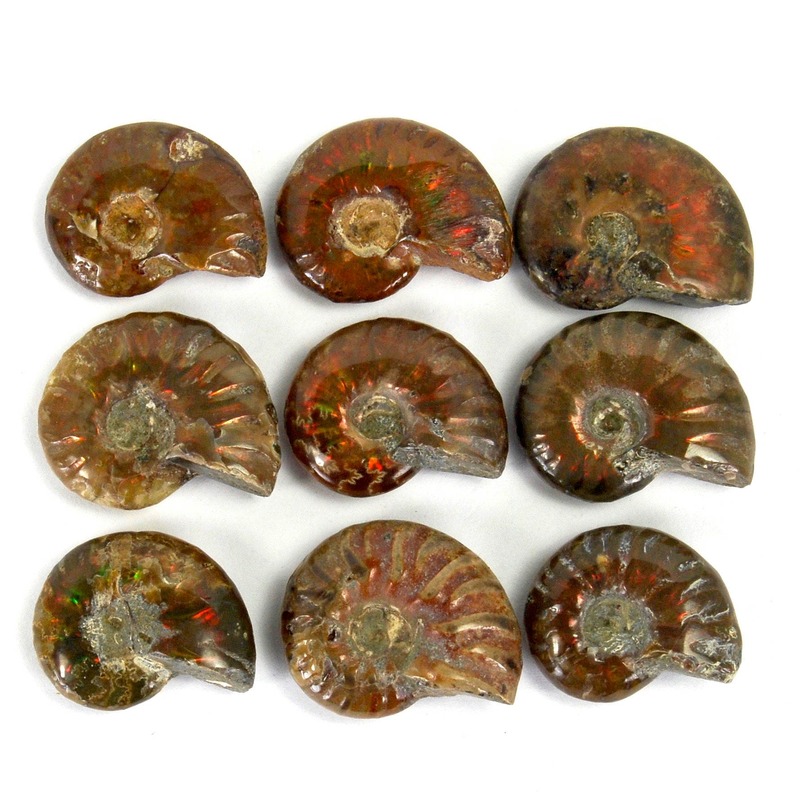 This listing is for ONE randomly selected Ammonite similar to those in the photo.